I’m excited to tell you that I have written a picture book released today! A couple weeks ago, Audrey Moon, editor of my local online newspaper (which publishes my blog posts), interviewed me about my book, GG and Mamela. She asked some interesting questions, and I hope I furnished some interesting answers. I decided to share the interview in grandbooking today. Tell us a little about your book. What is it about? 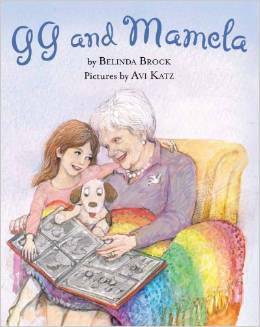 My picture book,”GG and Mamela,” focuses on the bond between Lily (Mamela) and her great-grandmother (GG), as her life starts to slow and wind down in hospice. Why were you inspired to write it? This story is deeply rooted within my own experience. Several years ago, my wonderful mother became ill and I shepherded her through hospice care. Although this was an emotional and intense time, my family and I were genuinely moved by the support provided by hospice. 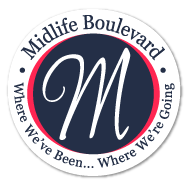 During my mother’s two stays in the residential hospice unit, we greatly appreciated the family-friendly environment and how it differed from that of a conventional hospital. Can you describe the relationship between GG and Mamela? Do the characters reflect specific members of your family? This book celebrates the special and loving relationship between GG and Lily. For example, when GG and Lily pore over the photo album, the reader understands that GG is the family historian passing on her wealth of stories and love of family to Lily. GG is based on my mother and I envisioned my daughter when I created the character of Lily. It’s difficult to explain death to children. What is some advice you can give to our readers about approaching that topic? When talking to children about a death or impending death, tell them what they need to know in a way appropriate to their age and maturity level. Don’t hide things or lie, so you don’t damage the trust they have in you. There’s a delicate balance to maintain. You can share that you are sad, but don’t overwhelm them with your own emotions. Is this your first book? Do you plan on writing another? I’ve always had an affinity for writing—I‘m an editor, writing coach and former teacher. A few years ago, I wrote and published a book filled with recipes, stories and photos that I gave only to relatives and close friends. Currently, I’m working on a picture book biography that I’m excited about. What was your favorite part of writing this book? I loved working on the story and seeing it take shape. I found that you can’t get too attached to your original vision because it will definitely change through the revision process. For example, in my earlier versions, Lily had a little brother named Jackson, modeled after my son, Max. Also, I was thrilled when my daughter Laura (a clinical psychologist) agreed to write the afterword. The illustrations are a vital part of the storytelling process. Really understanding how the text and the art fit together on the page was more difficult than I anticipated. How closely did you work with illustrator Avi Katz? I was fortunate to partner with Avi, a veteran award-winning illustrator, artist and political cartoonist. And yes, we worked very closely together. In fact, he incorporated some of my archival family photos and objects into the illustrations. However, we never met face to face; all our communication was conducted on the Internet—Avi lives in Israel! What is one of your favorite memories about your mother? Of course, I have so many great memories of my mom that it’s hard to just choose one. Like GG, my mother was a good cook, and many holiday and family dinners were held around our dining room table. I remember feeling lucky because my mom always put me next to her. After dinner, my job was to replace the silverware in a special velvet-lined wooden box. I also loved going downtown with her— visiting the Art Institute, shopping at Marshall Field’s and having lunch in the Walnut Room. What else would you like to say about your book or the topic of the book? I share GG’s recipe for home-made chicken soup! 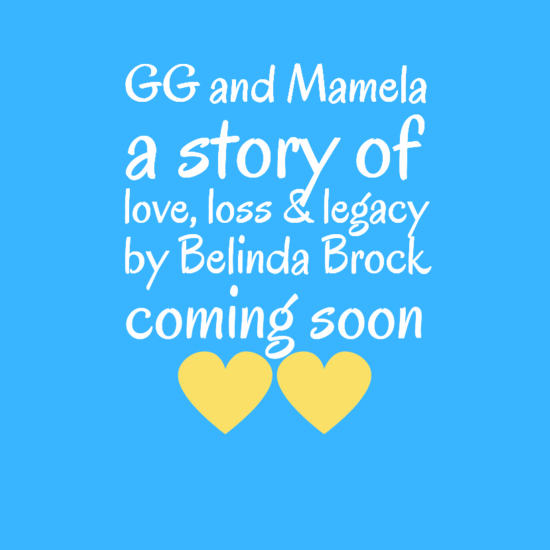 “GG and Mamela” is available on Amazon.com, my website and local, independent bookstores starting April 15. A portion of the proceeds will be donated to Midwest Palliative and Hospice CareCenter. 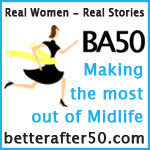 Congratulations Belinda! I hope your book is a big success. I think it is extra special that you are donating part of the profits to the Hospice CareCenter. Hospice was a huge and wonderful help to my Mom and my family when my Dad died. They are truly amazing people. Thanks so much, Kc! Yes, I think the people who choose to work there are special. Today is the day it’s on sale! Hooray for “GG and Mamela” and for YOU! Best wishes for huge success with your lovely and helpful book. I appreciate your support, Lisa! I’ve heard only good things about Hospice. Congratulations on your great work! Thanks, Divina. I enjoyed visiting your blog, as well. A few years ago I was with my father during his last weeks on earth. He, too, was under hospice care, and it was an intense and unforgettable experience — not easy, but one that I was ultimately blessed to be a part of. Thanks, Susan. Your experience sounds quite similar to that of mine with my mother. Thanks, Julie! I have met some very nice bloggers/writers since I connected with Renee. Congrats on your new book and for sharing it at the Kid Lit Blog Hop!! Thanks so much, and I have enjoyed my involvement with the Kid Lit Blog Hop. I think a picture book on Hospice would be wonderfully healing for kids who have family members or friends going through this.